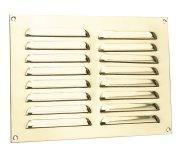 Solid brass ventilation plate/grille with open close feature. Supplied with fixings. Available in 165mm x 242mm. 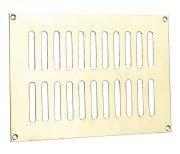 Solid brass ventilation plate with grille cowl feature. Supplied with fixings. Available in 242mm x 89mm sizes.